Yes! You Really Can Stay On A Yacht! Property 6: Yes! You Really Can Stay On A Yacht! 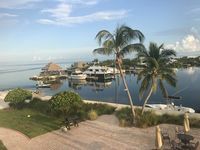 Property 12: Key West: 3 BR, 2 BA Luxury Yacht; Special Now! Entire Private basement apt Suburban ( near NASA UMD/ DC/full furnishings &Coxy. Property 15: Entire Private basement apt Suburban ( near NASA UMD/ DC/full furnishings &Coxy. YatzLife in Paradise! Relax, unwind, enjoy the water in Key West! Property 17: YatzLife in Paradise! Relax, unwind, enjoy the water in Key West! KEY WEST LIVIN' Beautiful 50' Yacht with 3 Bed, 2 Bath sleeps 6. Property 20: KEY WEST LIVIN' Beautiful 50' Yacht with 3 Bed, 2 Bath sleeps 6. Stay Aboard this 36' Sport Yacht... You will love it! Property 28: Stay Aboard this 36' Sport Yacht... You will love it! Lake June cottage located on beautiful freshwater lake - it's Paradise! Property 41: Lake June cottage located on beautiful freshwater lake - it's Paradise! Floating paradise! Docked in historic downtown. Property 45: Floating paradise! Docked in historic downtown. Great Stay on the Water! We had a great time staying on the boat with Mitch and Dumb Dumb! I would also recommend pay for a day at sea. Here you get the real experience of living on a boat and spending time on the water.